You have a brand new flat screen television – and it’s a pretty big one; not a monster, but large enough that you need two people to handle it comfortably. The question then becomes: how in the world do you get it onto the wall? You could call a professional home theater installation company, but that will just add hundreds of dollars to the higher-than-you-anticipated price of the new TV. 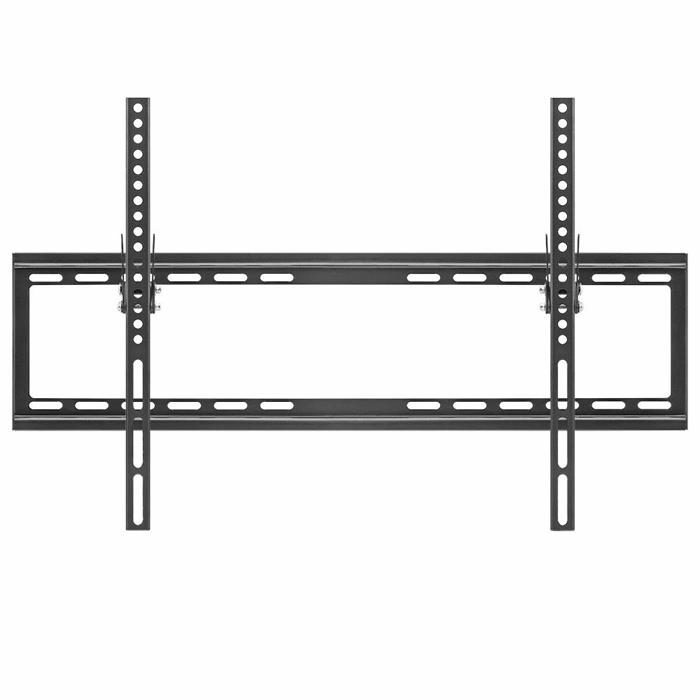 You could get one of those huge, expensive wall mounts they had at the store, but then the slim lines and modern appearance of your flat panel television will probably be ruined. 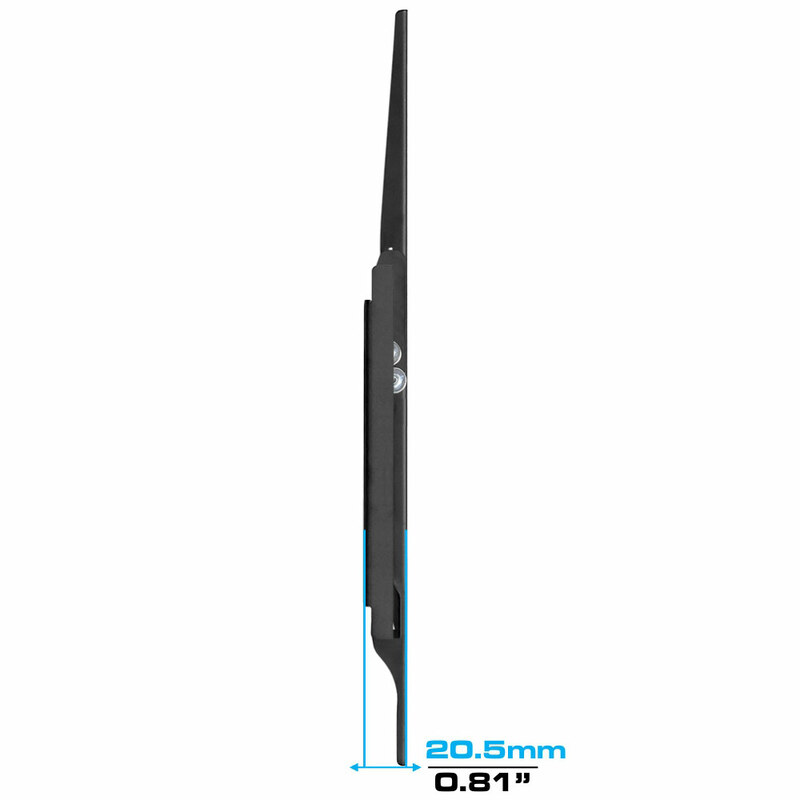 Or – you could do the smart thing and buy a reasonably-priced Cmple ultra-slim tilting wall mount. It’s specifically made for LED, LCD, 3D LED and even older plasma TVs from 37 all the way up to 70 inches; it’s also strong, built to hold monitors as heavy as 77 pounds, so just about any flat screen will be absolutely no problem. What’s even better is that the mount attaches to the back of the monitor and is incredibly thin, leaving only one inch of space (just enough for the cables) between the TV and the wall. When people look at the screen, that’s exactly what they’ll see – not an ugly metal monstrosity overshadowing the television. Hanging the mount is easier than you would imagine. 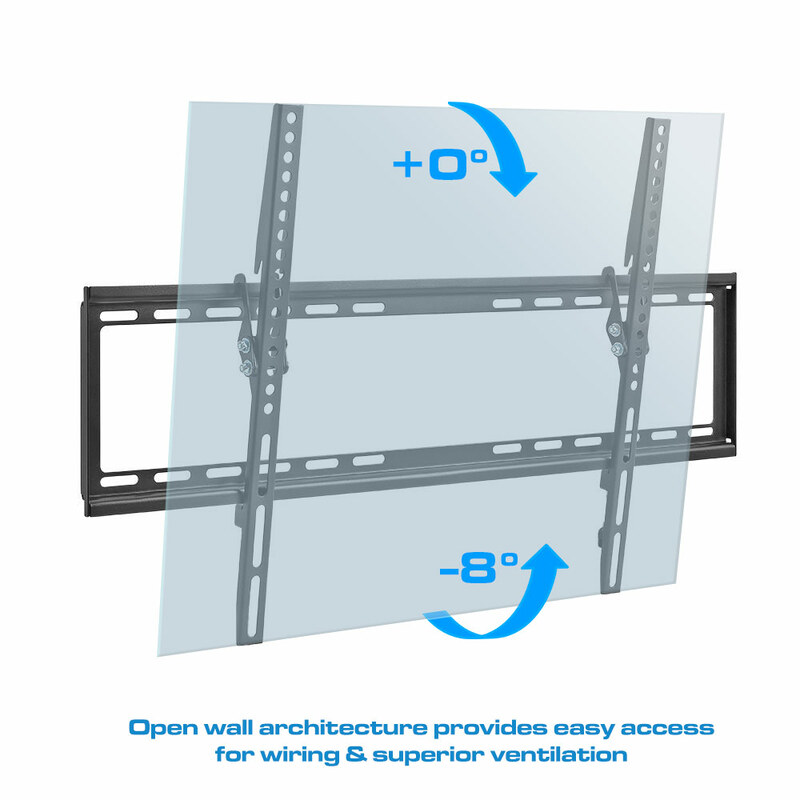 Not only is it light and easy to secure, but there’s even a built-in bubble level so you can make sure that your TV will be hung absolutely straight. 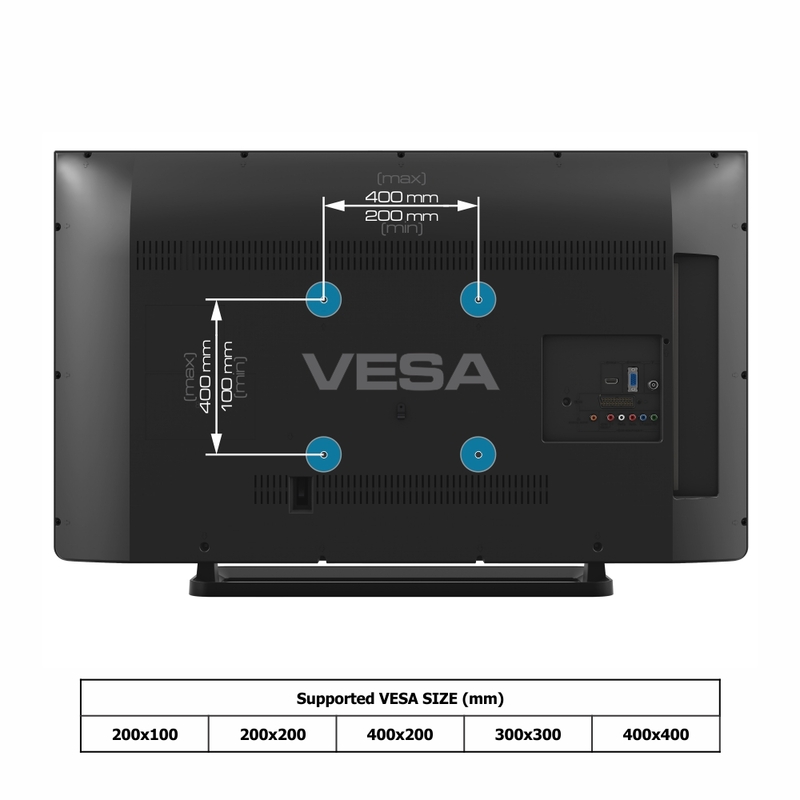 And your monitor will fit; the universal hole pattern on the mounting plate which attaches to the monitor is fully VESA-compliant for 200 x 200, 400 x 200, 300 x 300, 400 x 400 and 600 x 400. 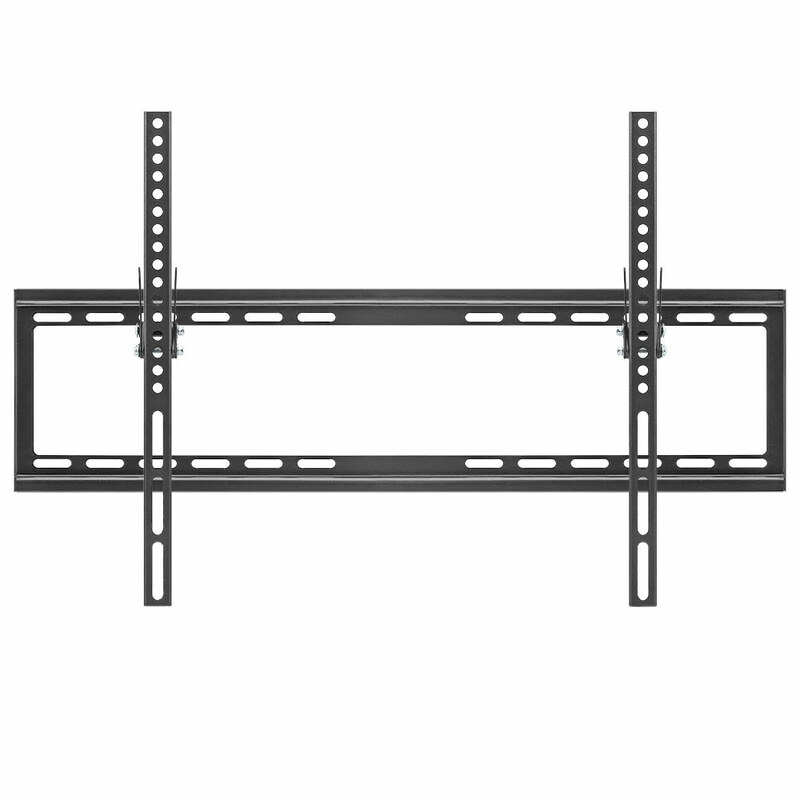 The open architecture of the mount is designed to allow adequate ventilation for the television, while providing easy access for any cable management that may be necessary. 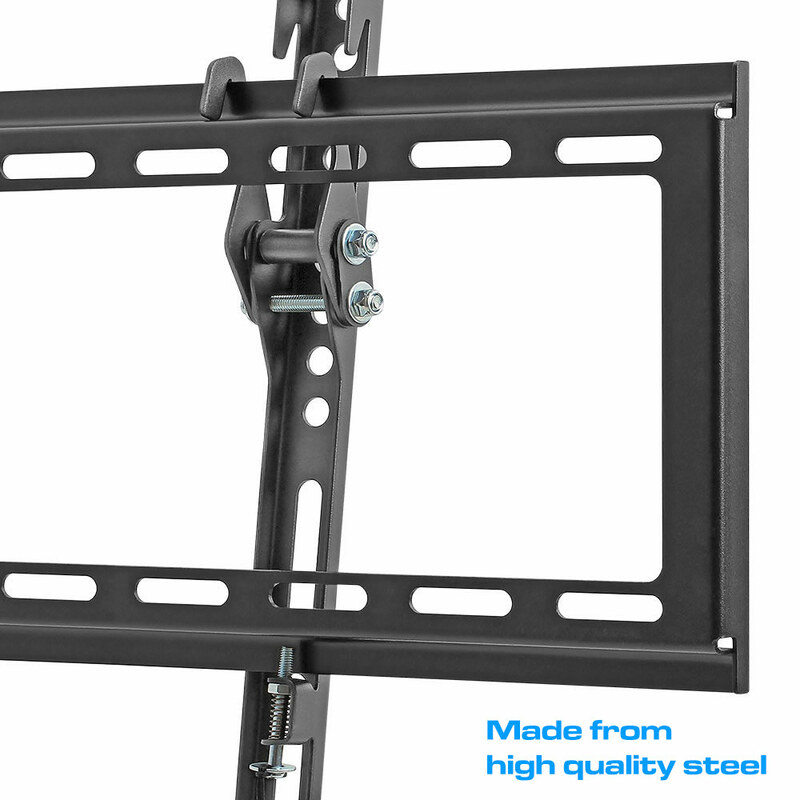 Once your television is secure, the Cmple wall mount makes the TV a joy to watch because it tilts up or down through a 15 degree range, letting you adjust the screen for a perfect viewing angle. As long as you don’t exceed the maximum size and weight restrictions for the mount, you’ll be good to go for years. 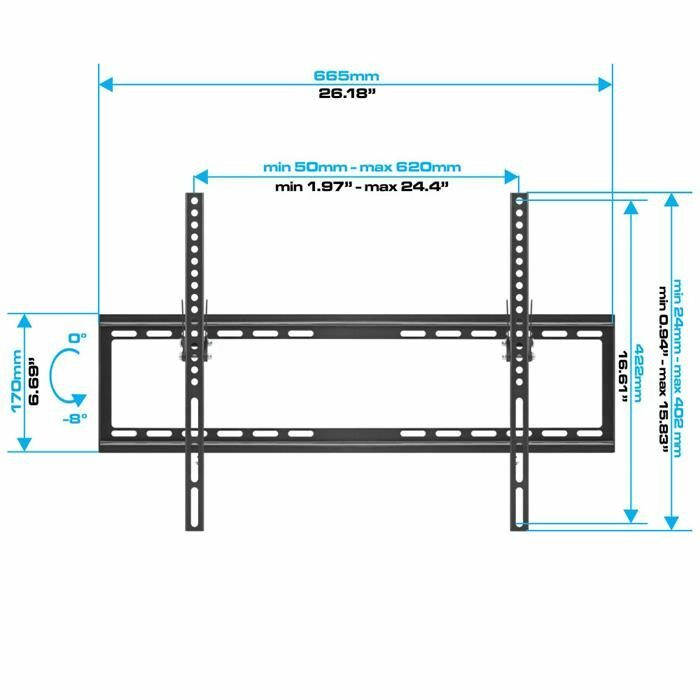 There’s no need to hire professional installers or get one of those enormous, ugly mounts for your beautiful new television. The easy-to-hang Cmple low profile tilting wall mount will do the job faster and better than they will, at an amazingly-low price.